8.00 am. - 9.00 am. Pick Pick up time from Hotel to Park Hopper and Pier. 9.30 am. 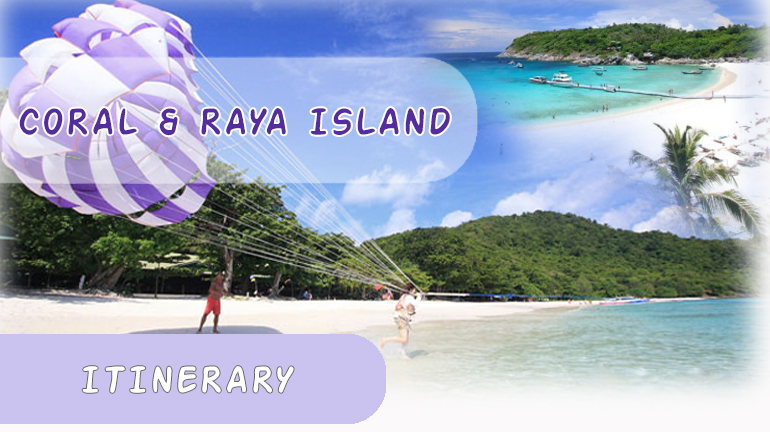 30-40 minutes depart from Pier to Racha Island by speedboat. 10.30 am. Arrived at Racha Island. Relax and enjoy on the beach. Sightseeing and snorkeling at Tuer Bay or Lar Bay. Explore the fantastic marine life in crystal clear water with lots of fishes and corals. 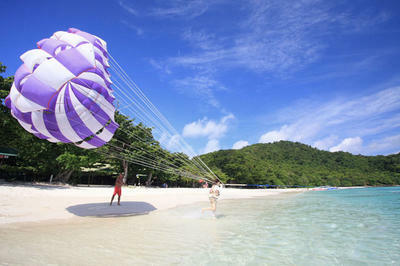 diving, sea walking, parasailing, banana boat riding and canoeing. 16.00 pm. Departure from Coral Island to Phuket. 16.30 pm. Arrived at Pier and transfer back to your hotel.